The United States is in the midst of a far-reaching opioid epidemic. Columbia University recently released a statement explaining that prescriptions for opioids such as morphine, hydrocodone, and oxycodone have more than quadrupled in recent years. The effect on those prescribed often becomes tragic. As individuals become dependent on the addictive opioid medication prescribed by their doctor, they build a tolerance that often forces them to turn to street drugs such as heroin in order to feel normal. While it has had devastating effects on the prescribed individuals as well as their families, the epidemic has affected the general public in unforeseen ways. If you have been in an accident involving opioids, contact a Stockton car accident lawyer immediately! The number of drivers that test positive for opioids in their system while driving has become alarming in recent years. Opioids are used to decrease pain and are often prescribed after a severe injury. The side effects include slowed thinking and reaction times and sluggishness. Obviously the common side effects are not conducive to good driving. This type of negligence calls for action. If you have been hit by a driving influenced by opioids, you must speak with a highly skilled Stockton car accident lawyer. Dr. Guohua Li of Columbia University’s Mailman School of Public Health and lead researcher and Stanford Chihuri of the department of anesthesiology at the Vagelos College of Physicians and Surgeons at Columbia University medical school studied two decades of data from the Fatality Analysis Reporting System, which was created by the National Highway Traffic Safety Administration. They found that 24% of drivers in six states who died within an hour of a car accident were positive for drug use. Three percent of these individuals had prescribed narcotics. 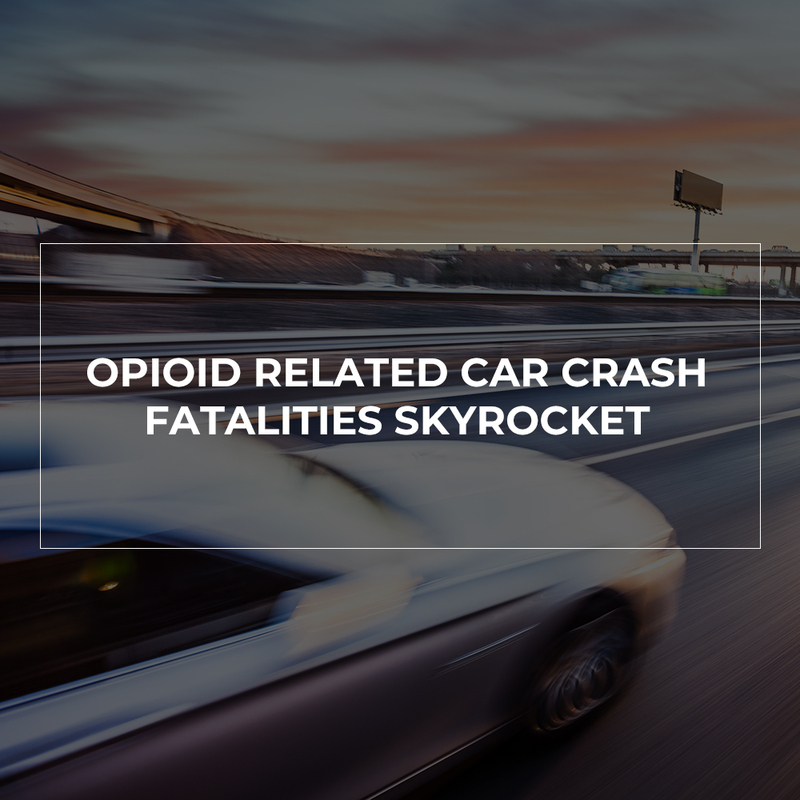 As the study included nearly 37,000 drivers, that means nearly 300 drivers had opioids in their system at the time of their death. The rise of opioid use around the country is skyrocketing, and this obviously is seeping into one of the most common and dangerous aspects of the typical American’s daily life: driving. Now, not only do drivers have to beware of drunk drivers, they can add opioid abusers to the list. It’s a very sad situation that many Americans are trapped by, but that doesn’t mean sober drivers shouldn’t look out for themselves. Being in a tough spot doesn’t mean it’s okay to create a dangerous environment for those around you. Take notice of the other driver’s behavior – Always consider that the other driver could be under the influence of drugs at the time of the collision. If possible, take note of his or her driving before the incident – were they swerving, driving in two lanes, breaking suddenly, etc? Once you’re face-to-face, look for signs of slurred speech, sluggish movements, drowsiness, or anything that seems “off.” It’s a good idea to write these observations down so you don’t forget – perhaps use your phone. Call 911 – Always report the collision to an officer of the law. Safety is what’s important, first and foremost. Perhaps the other driver is acting strangely because he or she hit their head or is having another health emergency. Request an ambulance if you think it’s necessary. When the police arrive don’t admit fault and be sure your side of the story is heard. The reporting officer will take notes and generate an accident report number. The police may test the other driver for drugs if there is probably cause. Use drug tests as proof – All drivers are required to submit to a chemical test when required by a police officer. Refusing to do so may be used as proof or the strong suggestion of a driver being under the influence while behind the wheel. An experienced Stockton car accident lawyer can use this to show the other driver was at fault and ensure you get the compensation you deserve. It’s important to seek legal advice from a licensed professional whenever you are considering legal action. If you have been in a car collision and think the other driver could have been under the influence of opioids or other drugs at the time of the crash, seek legal representation from a Stockton car accident lawyer as soon as possible. You may have a strong case to receive significant financial compensation. Losing a loved one to a car accident is traumatizing enough. But when the accident was caused because of substance abuse that could have been avoided, the anger and hurt is even more exacerbated. Sadiq Law Firm understands how devastating and stressful this can be. Which is one of the many reasons we devote our practice to fight for justice and fair compensation. Give us a call at (209) 943-0000 to speak to a Stockton car accident lawyer today. Have you been seriously injured and need legal help? Set Up Your Free Consultation Now. Email Us Today. We serve all of San Joaquin County including the following localities: Stockton, Tracy, Escalon, Lathrop, Lodi, Manteca, Ripon, Acampo, August, Collierville, Country Club, Dogtown, Farmington, French Camp, Garden Acres, Kennedy, Lincoln Village, Linden, Lockeford, Morada, Mountain House, Peters, Taft Mosswood, Terminous, Thornton, Victor, Waterloo and Woodbridge.